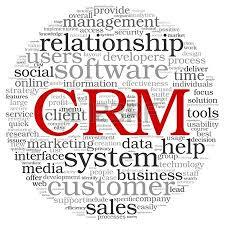 Relationship Management in business is all about ensuring a healthy bond with the Vendors, Dealers, Distributors and Stakeholders. As for any other relationship a Corporate level relationship also requires human interactions and communications. These interactions may happen by way of a meeting, conference calls, Video Conferencing, emails or any other channel of communication. 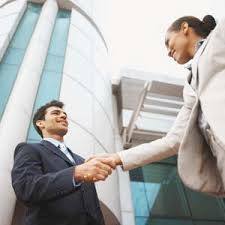 A corporate level relationship helps the businesses to derive mutual benefits and creates a win-win situation. A corporate relationship is not about liking the people or mutual respect towards individuals working in the organization, it is more about the benefit that this relationship provides to the organization you are working for. An effective corporate relationship can only be established by way of clear communications, if a communication is intended to hide facts or present wrong facts then there are obvious chances that the relationship may die out very soon, just like any other human to human relationship. A corporate relationship involves high degree of complexity, while it also depends a lot on the human factors, but at the same time two corporate having a relationship will have a Legal agreement between each other to tie them into a relationship, even though the two companies may never consider to sue the other one in case of a conflict but the agreement keeps the relationship to a professional level. When people of one organization interact with the people of the other organization – may it be a customer or a vendor, they have to maintain a professional distance and keep the tone of the communication at a professional level. It may happen that when you interact with professionals of other organizations, you may build a personal comfort level with them, but still during corporate meetings, emails, calls you should bear it in mind that you are interacting with those individuals in professional capacity and you are representing your organization, so despite having a personal bond with those individuals, you should refrain from making personal comments or remarks during these interactions. While managing corporate relationships, one should always protect the interest of the organization that he/she is working for and at the same time also try not to harm the interest of the other organization. Most of the organizations have job profiles called “Relationship Managers” (mainly Banking organizations), these Relationship Managers are supposed to maintain good corporate relationships with the relevant units of the Customer Organization. This helps the organization to keep themselves updated on the business plans of their customers and help the organization to align their sales/products strategy to keep up with the client requirements. A good relationship manager understands the client’s business in and out and makes a business proposal keeping in mind the requirements of the customer, rather than selling whatever he has to sell without even understanding whether the client needs it or not. Most of the times a Relationship Manager profile is a sales profile. Email is the most commonly used and abused mode of communication. People tend to write emails loosely when they get comfortable with the recipient. In a corporate communication you must always be 20 times more cautious because you never know if the recipient forwards the email to other recipients who may not like the content of the email. An email should be professionally drafted and very carefully read before it is sent out to a client, any loose comments may spoil the relationship with the client. In my own career I have noticed many such email disasters and consequences of writing such loosely drafted emails. Another most effective and commonly used mode of communication is a face to face meeting. When it comes to a face to face meeting/ presentation the situation has to be handled with additional caution, as you have very limited time to react and there is no scope of correcting the errors. An good Relationship Manager always has an agenda whenever such meetings are fixed with a client and a lot of homework has to be done before you meet the senior people of the other organization. The most basic etiquette expected is to sent a formal meeting invite and call up the senior participants before actually reaching the venue. Without a meeting invite sent on email you should never expect senior members to remember the time and venue of the meeting – it should be there in their outlook calendar. Distribute the agenda of the meeting along with the meeting invite so that all stakeholders are reasonably prepared. Have a list of discussion points ready on your diary/laptop that you intend to discuss during the meeting. Once you are into the meeting your focus should be completely on the agenda and not to digress much from it, because otherwise the intended objective will not be achieved and you will end up calling for another follow-up meeting in quick succession (Senior stakeholders will not like it). During the meeting – assess the current state of matters at the client end, understand their problems, understand the implications of the problems and how they are effecting the business and then make your business pitch showing various options and checking with the client if the options can help the client to address the problems. This makes a perfect relationship pitch. There are many people in the industry who just approach the client and try to sell whatever they have without even understanding the need. So why would a client buy a product if he doesn’t need it? Corporate Relationship management is a complex organizational behaviour and spans across a lot of important verticals within an organization. It is very important to stay within professional and ethical limits. A good corporate relationship and a long lasting one can only be built over a solid Ethical base. Last but certainly not the least, key towards building a solid Corporate Relationship is to use EMPATHY. Just put yourself into the shoes of your client/ vendor and try to understand his perspective, this will help you to plan your business strategy. Never impose your thoughts on the other person, just share your view with them politely and ask them for theirs and then try to reach an amicable conclusion. Always target to create a WIN-WIN situation for all stakeholders and it is very likely that you will be a successful Relationship Manager.